Ending child hunger with Stile. In addition to gifts from our supporters, most of our initiatives are funded by Dr. Stile personally. His is the only plastic surgery practice in Nevada that dedicates a portion of all proceeds to provide meals and services to help children locally and nationally. Reconstructive surgeries are offered and performed by our founder, Dr. Stile. Corrective procedures can help give your child or a child you know a better chance at a quality life. “We give of our money and we give of our time.” Along with other members of the community, our team regularly volunteers their time. Our members staff local missions, food and clothing drives and support food packaging and distribution initiatives for food insecure children and families. In addition to providing meals to children facing food insecurity, The Frank L. Stile Foundation supports other nonprofits with similar focuses. The Frank L. Stile Foundation was created in 2011 to serve the needs of children in crisis. The foundation’s goal is to raise awareness in addition to resources for the purpose of bettering the health, nutrition, safety and well-being of children. The talent, energy and passion behind the foundation’s initiatives provides children throughout the country a chance to live fuller healthy lives. In addition to providing funding for medical care to children, the foundation supports supplemental nutrition programs and other non-profits with similar focuses. Our goal is to have this non-profit eventually become self-sustaining and deliver One Million Meals per year to food insecure children. 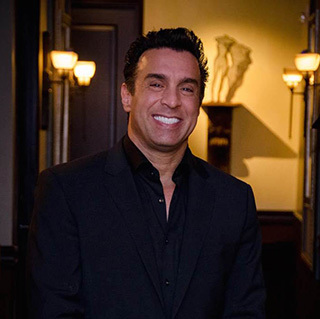 Dr. Stile world renowned cosmetic plastic surgeon, businessman and visionary, created The Frank L. Stile Foundation in 2011 to serve the needs of children in crisis. The talent, energy and passion that Dr. Stile brings to this foundation’s initiatives helps provide children locally and throughout the country a chance to live fuller and healthier lives.